This book identifies challenges and opportunities in the development and implementation of software that contain significant statistical content. 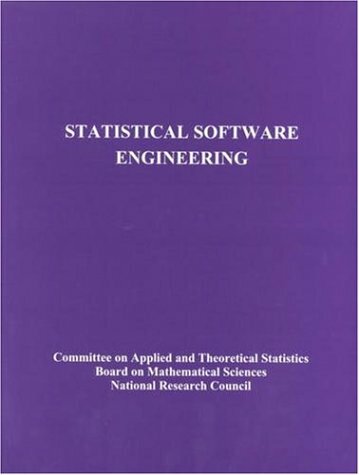 While emphasizing the relevance of using rigorous statistical and probabilistic techniques in software engineering contexts, it presents opportunities for further research in the statistical sciences and their applications to software engineering. Technical guide to the creation of software for worldwide use. The book includes detailed specifications for Unicode: structure, encoding forms, character properties, semantics, equivalence, combining characters, conversion, allocation, etc. Picturing Programs is a textbook for beginning computer programming, not directed towards learning a particular programming language, but rather at learning to program well. This book can be used at the high school or college level. The focus of the book is the design process, from problem statements to organized solutions, it deemphasizes the algorithmic and language details, and specific applications. Programming is a fun activity, and a way to express abstract ideas.